This article was written on 19 Mar 2014, and is filled under Author: sickkgirl. If there was ever a crowdfunding gig for you to back, this is the one. 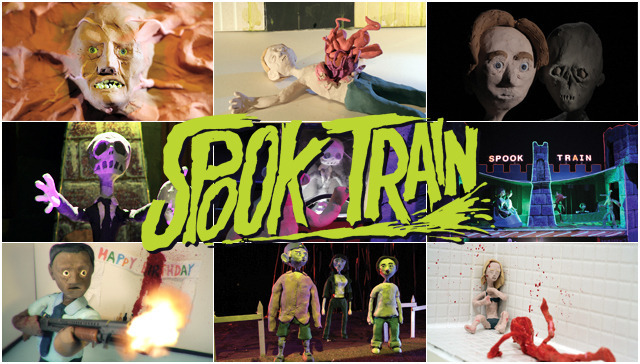 Claymation expert Lee Hardcastle is currently raising money for his first feature length claysplotation film, SPOOK TRAIN. You probably know Hardcastle for winning the 26th director competition for THE ABCS OF DEATH, in which his short T IS FOR TOILET won, or his YouTube creations, Pingu’s THE THING and Claycat’s THE RAID, and if you don’t, well you best get on that, because they’re not something you’d want to miss. With his Kickstarter campaign, there’s some pretty gnarly perks for those who donate… The secrets behind his bloody Claymation, limited edition blu rays that contain a piece of clay used in production, your name in the film and even have a clay model version of yourself, which he will use in the film. 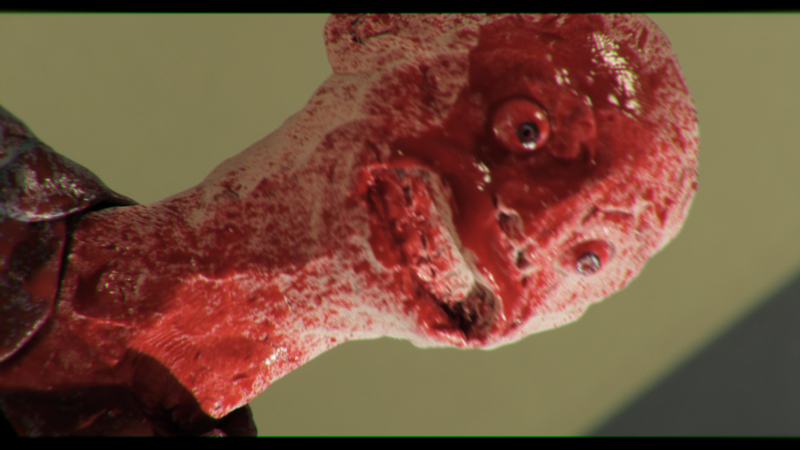 He still has a long way to go, but with your help, this film can happen. Three kids discover the remains of the legendary Spook Train, they’re about to experience why it was shut down by a moral panic. It’s a dark ride with an even darker sense of humor. Experience 10 unique nightmares made of clay. Some stories are 15 minutes long while others are a quick punch to the groin at just 30 seconds. First off, how did you get into Claymation? 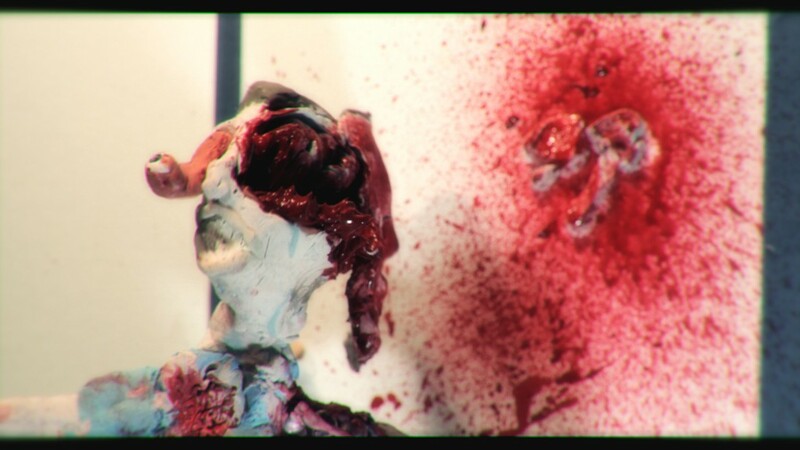 I’ve always sort of been into stop motion, you know, I experimented with it like a lot of film makers have. I was at film school and the whole way the establishment worked was that only projects with enough crew involved got made and this was a pretty fucked up situation for me because of my lack of social skills, I had no friends. It was a tough time but I always wanted to make and tell stories, at first I was making comic books on the side and then I got into stop motion when I bought my first computer with editing software and I got this free programme called ‘Monkey Jam’ and I shot this animation on the spot one night with some GI Joes and I was away! Suddenly I didn’t need friends and favors to back me up, I was making films completely on my own, so the situation was solved. Have you ever thought of doing a Tarantino one? Seems perfect for your style, especially with Claycats. I have, many times because Tarantino is one of my favorite directors but truth is, I haven’t thought of the right way to parody a Tarantino movie. As odd as that sounds, I don’t think I’ve ever seen a good Tarantino parody neithrer, period. Maybe he’s un-fan-film-able. So about SPOOK TRAIN, how long have you had the idea of it for? I’d say for 4 years but the concept of Spook Train, maybe 3 months. You see, I’ve always played with the idea of horror anthology because it’s me, I am totally* that guy. *If the future me came to visit 40 years from now and revealed that I make nothing but horror anthologies for the rest of my life, I wouldn’t be surprised. So, I’m always thinking of cool ways to present the format – I really like the Grindhouse experience, the Creepshow translation of an EC comicbook and to a degree, Pulp Fiction is very much like this also. And I’m very inspired by all these examples. Why did you decide to make it in 3D? I remember the first time I heard about 3D at the cinema, I was confused. I was like “what? the whole film is 3D? All the way through? Surely not” it was quite exciting, I went to see My Bloody Valentine on my 24th Birthday on Leicester Square and it was so much fun. I haven’t had that much fun going to the cinema since I don’t think! 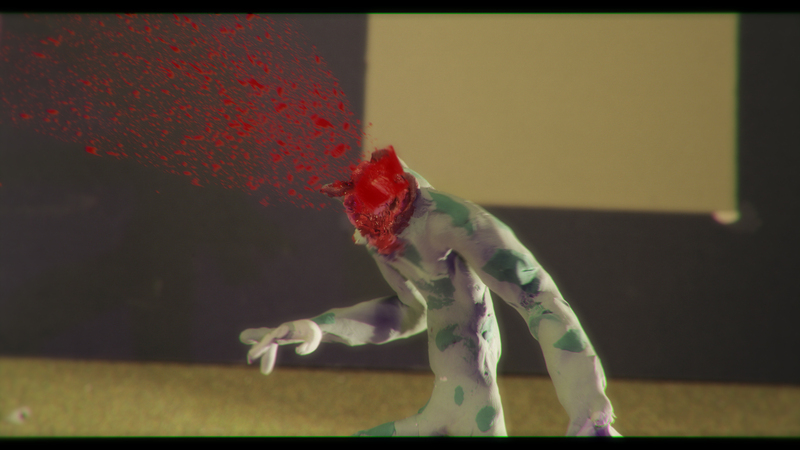 And with stop motion animation, 3D is very cheap and easily achieved because you’re shooting your movie 1 frame at a time and for the idea Spook Train, it’s a perfect marriage because it’s a goofy horror film that I want people to have a lot of fun with. What made you choose to split into segments? Are you a fan of anthology films? As mentioned before, for sure yeah. Also segments gives me a lot more confidence because I have written feature length scripts but I’ve never written anything I was proud of but with short stories I know that game, I know the score, I’m a street wise melon farmer and I’m comfortable about delivering a movie of this sort. How are you going to shoot SPOOK TRAIN, as in one long winded project, or smaller ones for each of the segments? It depends on the funding, initial funding would only get the ball rolling. Even then I have to think about paying my rent which I’m gonna have to do by working. So the answer is, if I had enough funds to not worry about staying alive then Spook Train would be my only focus but if I have to make ends meet and contribute to the budget myself with my own money, I’m gonna have to wrap up segments and work on paid jobs in between. I saw your tweet earlier about having different directors on board for each segment; can you tell us more about that? I’ve got many contacts which is cool, and even cooler they are proper fans of my work. What I’ve always wanted to do is approach these guys and act as a sort of surrogate claymation dude and co-direct a claymation with them. I’ve never told any of them this, and in the grand scheme I thought that if I could raise enough money and get additional backing from else where then I could propose this idea to them and have them jump on board but this is just some serious day dreaming at this point, I do my best to achieve one tiny step at a time first. When the film goes into production, will it be your only project, or will you occasionally make the odd smaller one for YouTube during the 2 years? I’m finished with YouTube, the only time you’ll see me upload anything to YouTube now is when I’m being paid to do so. YouTube have begun restricting my videos and deleting them, I cannot support my self on their revenue scheme any more. I try not to be bitter about this because if it wasn’t for YouTube then I would not be here but they want me to play by their rules and that’s fair dos but I can’t continue to self fund horror films and distribute them over YouTube any more like I used to.